Need a Great Mother's Day Gift? Want a Great Mother's Day Gift? Michael R. Hicks has uplifted audiences all over the world - from the Middle East to California, from Calgary, Canada to Kenya, Africa. He has spoken on many topics and has performed with many artists. His music has won awards and many have performed his arrangements, from small church choirs to national country stars. 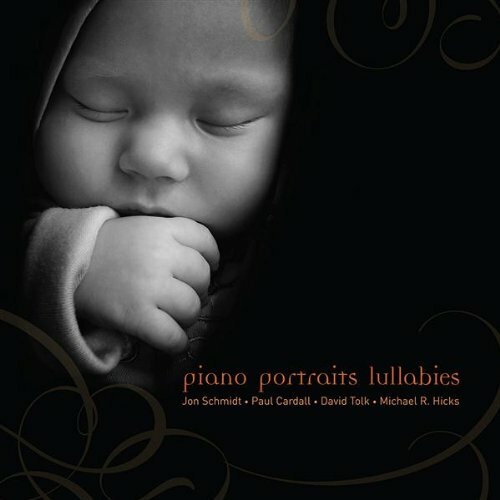 Michael's most recent CD is a compilation of original and traditional solo piano lullabies called Piano Portraits Lullabies featuring Jon Schmidt, Paul Cardall, David Tolk, and himself. Mike's beautiful music has been featured in our local news ! Piano Portraits Lullaby CD promo 1 from Michael R. Hicks on Vimeo. Happy Mother's Day to all the Little Great Mom's. Looks like a tender CD. i follow "a little great"
How peaceful and beautiful, nice relaxing music for even mom's to go to sleep by. I'm a FB fan and have your button on my blog. I would love this CD. I think my baby girl would love it too. Looks fabulous! I have one of his older CDs and really enjoy it. I'm always looking for something like this for my boys to listen to at night. Pick me!